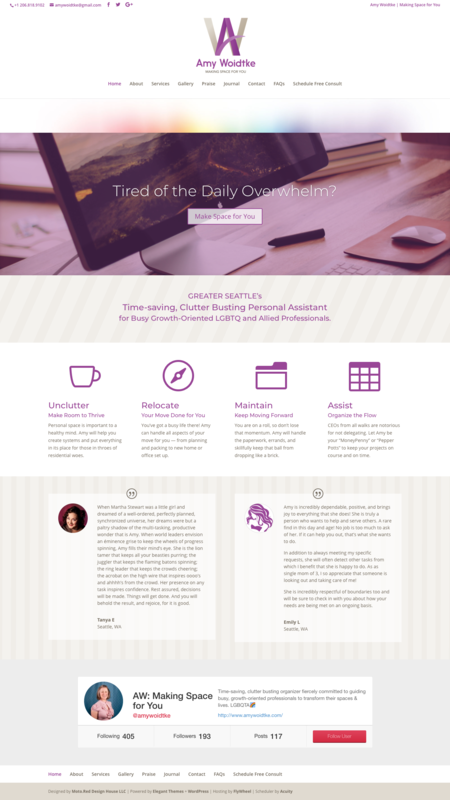 Your Savvy PA is now Amy Woidtke: Making Space for You! 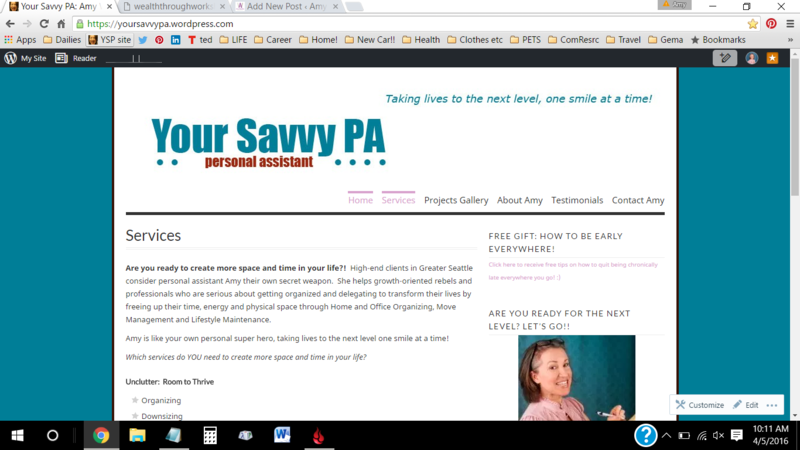 It’s official – Your Savvy PA is now Amy Woidtke: Making Space for you. A few fine tunings and additions are in the works, such as the Gallery page, FAQs, Client self-booking, etc. and we will let you know as they roll out! It’s taken awhile to get here, as with a rebrand comes reinvention. It means getting your t’s crossed and your i’s dotted in both business and personal worlds, as best you can. It takes decision, declaration and determination for delivery. When you are upleveling, it requires some deep introspection, slugging through your muck and turning it into sweet molasses! It’s not for the faint of heart (that’s for sure) to get the rebrand that fits and takes you your next level. It was summer late last year when I took on this great adventure to upscale, reach a larger audience and serve in a bigger way. With the help of my Divine Divas, Nancy Juetten of Authentic Visibility and Ruby Rayne / Moto.Red Design House, this road has been carved and paved with more ease than if I had tried to do it myself – and of course, far better than I could ever do myself, as their expertise is not mine. One must be humble enough to recognize these things – and delegate them to those who expertise it is. Decide and declare – What is your desire? Write it down. Declare it! Determination for Delivery – Ask for the help you need until you get it. Keep asking. It will come. Be willing to do the work to get there. I had no idea how it was going to come about or who was going to help. I just knew it was time…and this is the wonder it has led to! Thank you for sharing in the delicious journey of divine life! I look forward to seeing you. Now, go get what is yours! As Les Brown says: You have greatness within you! Here’s a screenshot of my old site below. What a difference! Came across one of your tweets and see you have rebranded. I want to congratulate you on the transformation. I really love your new logo, it is just stunning in form, composition, and color. I wish you continued success. So nice to hear from you. It’s been quite some time since we all started our businesses. Thank you for the compliment. Would love to catch up and hear what you are up to!